Those words of wisdom could easily apply to the off-season blueprint followed by Dodge City, KS-based agronomy provider Servi-Tech, a 200-plus employee outfit that annually services 50 million acres of High Plains wheat, 30 million acres of corn, and six million acres of soybeans across seven states, writes Matthew Grassi on PrecisionAg.com. 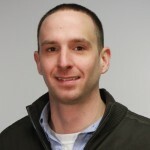 Ryan Meister, who’s been at Servi-Tech since January of 2004 after graduating from University of Nebraska-Lincoln in 2003, is currently the outfit’s Director of Technology Development. Meister says the winter months provide Servi-Tech with a much needed respite from day-to-day grower dealings, allowing the company’s agronomists to prepare themselves for a successful spring. Although the winter months are certainly important from a training standpoint, Meister adds that “training is really a 12-month out of the year process” but that opportunities “really tend to ramp up” around the change of the calendar and into the new year. According to Meister, agronomists at Servi-Tech generally spend the first two months of the season finalizing plans for spring planting.